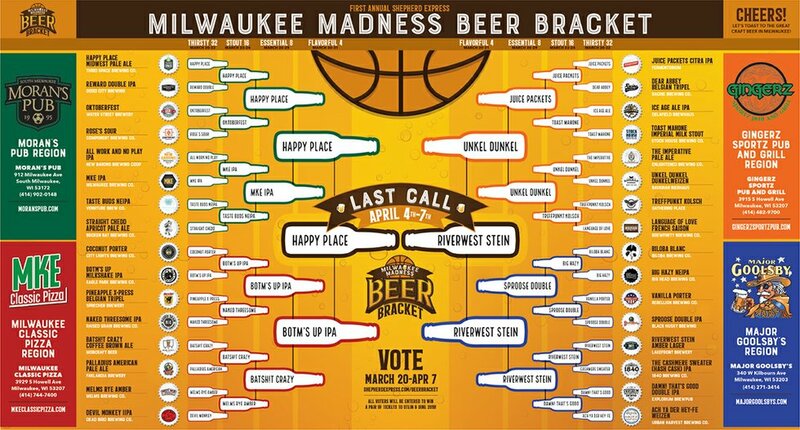 Voting has wrapped up in the 2019 Milwaukee Madness Beer Bracket. Thanks to Moran's Pub, Milwaukee Classic Pizza, Gingerz Sports Pub & Grill and Major Goolsby's for making the bracket possible. Please support these local establishments.